(CBS/AP) ORLANDO, Fla. - The Florida sheriff's office that investigated the disappearance of Casey Anthony's 2-year-old daughter overlooked evidence that someone in their home did a Google search for "fool-proof" suffocation methods on the day the girl was last seen alive. Watch Crimesider's interview with Anthony's attorney, Jose Baez, where he discusses the Internet searches and other evidence that never made it to trial. Capt. Angelo Nieves of the Orange County sheriff's office said Sunday that the agency's computer investigator missed the June 16, 2008, search. The admission was first reported by CBS affiliate WKMG. It's not known who performed the search, but the station reported that it was done on a browser primarily used by Caylee's mother, Casey Anthony, who was acquitted of the girl's murder in 2011. 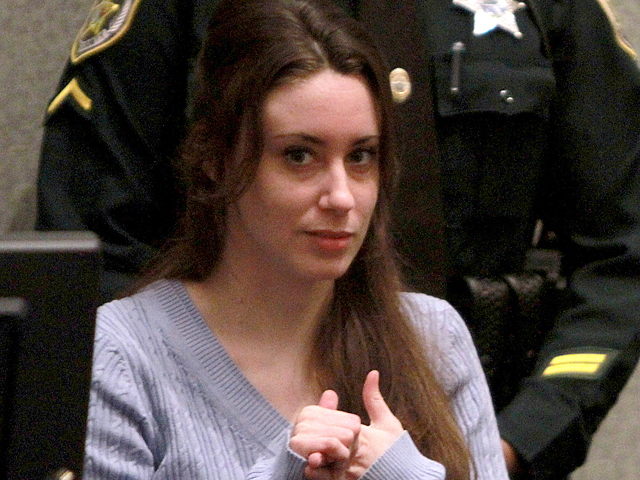 WKMG reported that sheriff's investigators overlooked over 1,200 entries including the suffocation search from the computer's Mozilla Firefox browser, which was most commonly used by Casey Anthony. Investigators also pulled 17 vague entries from the computer's Internet Explorer browser. Whoever conducted the Google search looked for the term "fool-proof suffication (sic)" and then clicked on an article about suicide that discussed taking poison and putting a bag over one's head, the station reported. Not knowing about the computer search, prosecutors argued that Caylee was poisoned with chloroform and then suffocated by duct tape placed over her mouth and nose. The girl's body was found six months after she disappeared in a field near the family home and was too decomposed for an exact cause of death to be determined. Baez told WKMG that he expected prosecutors to bring up the search at trial. "When they didn't, we were kind of shocked," Baez, who no longer represents Anthony, told the station. Prosecutor Jeff Ashton told WKMG it's a "shame" that they didn't have the suffocation search as evidence. "This certainly would have put the accidental death claim in serious question," he said.